We offer a broad selection resin bond abraisves for grinding and cutting. These wheels are typically 1/4" thick for grinding with right angle grinders. Depresssed center wheels 1/8" thick used primarily for cutting. T-28 grinding wheels are saucer shaped like the diagram right, and are used for heavy grinding with right angle grinders. Slice-It wheels are available in both depressed center T-27 and flat T-1 styles. They are used for cutting. Our bench grinder wheels are resin bond for strong performance and rapid stock removal. These small diameter grinding wheels are used on straight grinders for a variety of applications. 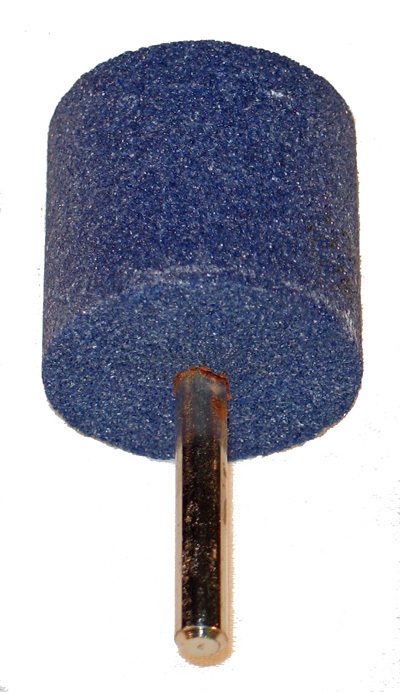 T-11 flared cups are used on right angle grinders for heavy stock removal. Available for use with most materials. T-6 straight sided cups are used mostly for grinding concrete, granite, and marble like materials. Available in the common "A", "B", and "W" shapes.